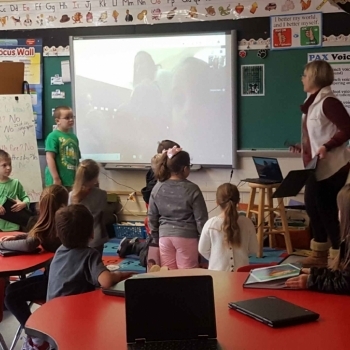 Mrs. Blair's 1st graders use Google Hangout to virtually meet with technology buddies in Geneva, Ohio. Students talked with one another, asking questions and learning about each other's school, hobbies, and interests. PBL team presents their project to their peers, as well as to a panel of judges.